Tomorrow (Sunday May 4) practise AND benefit concert! A great big day of fiddle at Emmanuel Howard Park United! 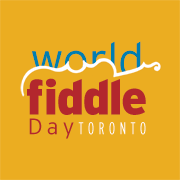 Regular practise at 1:30 featuring the “coming back home” segment of our ’round the world fiddle jam — Joe’s Dedication, Ste. Anne’s Reel, and Waving Flag, then our amazing WORLD FIDDLE FEST benefit concert starting at 3:30. A concert to share with everyone you love and who those who love to hear great fiddle music!